We an 18 acre organic care farm in rural Cambridgeshire. 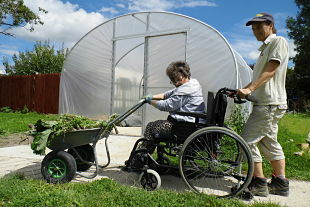 Our farm and garden team placements are open to people with additional needs, our Co-workers. We specialise in providing therapeutic horticulture to people with learning difficulties, disabilities and those with varying health needs. 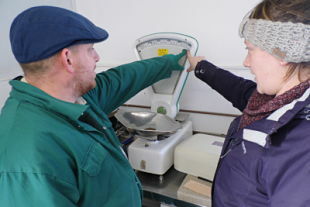 We are a real farm providing real work experience producing real organic products and produce. Our roots were sown in 1989 and we continue to provide a meaningful place to grow abilities and shed disabilities. Shop Snakehall services and buy Propects produce, preserves and products to keep our organic care farm financially sustainable. Our care farm & shop is nestled between Swaffham Prior & Reach in Cambridgeshire. Our gates are open and our farm is fully accessible. Come find us. 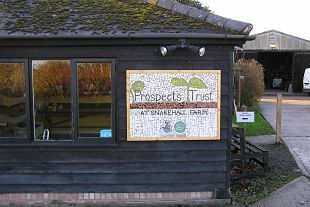 Prospects Trust at Snakehall Farm is a vibrant working and learning environment. The farm is managed by a friendly, committed and organised team who foster a real community spirit. It is rare to find a social firm which provides such a welcoming, accessible and supportive environment in combination with an efficient professional approach. We have a very positive ongoing relationship with Snakehall Farm and are always delighted to have the opportunity to work with them. I love The Prospects Trust’s Farm Shop. It is the one place where cucumbers don’t come shrink wrapped and tomatoes that taste like a perfect summer day! Huge congratulations to Anna from the Garden Team and Linda from the Farm Team, on completing the Cambridge Half Marathon on the 3rd March. They braved the wet weather and hit the streets of Cambridge to raise money for The Prospects Trust’s £30K for 30 Years campaign. Thanks to their efforts we raised over £1200.00. Well done to our Snakehall runners you did brilliantly. We are planning a party and we would love to showcase Snakehall Farm to you this September. We will post more details on our website and social media @TillyTractor as this event takes shape. Join our mailing list for monthly Prospect Post updates direct to your inbox. We are really excited to be featured on Chris South’s BBC Radio Cambridgeshire show on Sunday 11th November. Listen in from 10am to hear Farmer Mark and Fundraising Maz talk about the roots of The Prospects Trust and our plans to mark our 30th anniversary milestone of “growing differently” in 2019. To view schedule: BBC Radio Cambridgeshire Link. Spooky Snakehall 2018 – A Hair Raising Fund Raising was a Hoot! What a treat to trick so many on our dark and spooky farm site this Halloween. We transformed our organic acreage into a Zombie filled farm and welcomed unsuspecting families, co-workers and general public through our gates for a bone chilling night of scares (and giggles). With the help of the Templars 1st Baldock Cubs and lots of volunteers this annual spook-tacular raised well over £1000 for The Prospects Trust and was a total scream. See you at the next one in 2020 if you dare?